Experts say voter turnout for this year's midterm election may be the lowest it's been since World War II. Experts say voter turnout for this year's midterm election was lackluster, may be the lowest it's been since World War II. While some state and local governments are still working to make counts official, many experts agree voter turnout for last week’s midterm election will be the lowest it’s been in over half a century. “We're probably going to have the lowest-turnout election [nationally] since 1942. It's that bad. And that was in the midst of World War II when people couldn't vote because they were off at war," Michael McDonald, a political science professor at the University of Florida who specializes in voter turnout, told the Los Angeles Times. Perhaps more surprising than the low turnout is the fact that it came despite the billions – that's right, billion with w "b" – spent on congressional races this year. According to the Center for Responsive Politics, an estimated $3.63 billion spent on congressional races. That figure does not include the billions spent on adds for ballot measures and local elections. However, the picture is more nuanced than broad-sweeping meager turnout. Preliminary figures show an uneven picture across the country, with variances among states with hotly contested races, where voter turnout did increase, according to The Los Angeles Times. And although Democrats lost overall in the polls, they managed to boost their numbers over 2010 in key states – namely North Carolina, New Hampshire and Colorado. But voter turnout was particularly low in California, Vermont and Indiana. Al Jazeera America reports that in California, only 21.4 percent of eligible voters showed up at the polls – down 22.6 percent from the 44 percent that showed up in 2010. 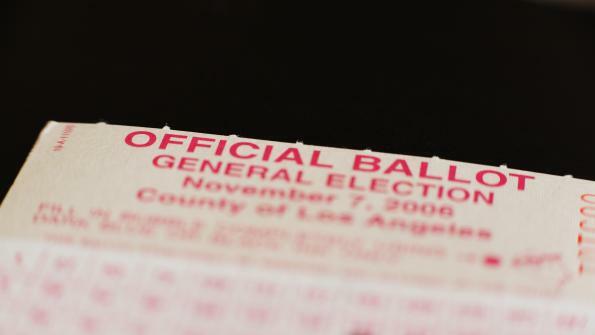 To look at it another way, 5.2 million ballots were cast in California, down from more than 10 million cast in 2010. Vermont also hit a record low. About 43.7 percent of eligible Vermonters voted Tuesday, the Burlington Free Press reports. That’s seven-tenths of a percentage point below the previous low of 44.4 percent in 1978. The state’s largest city, Burlington, reported a 32.2 percent turnout. “We threw an election and nobody came,” Darry Sragow, a veteran Democratic political strategist based in Los Angeles, told the news agency. Indiana’s turnout was likely the lowest in state history, according to The Indianapolis Star, which reports preliminary counts show turnout falling somewhere between 29 and 35 percent. The previous low was 39 percent in 2002, according to data going back to 1954. Age was also a factor. Voters ages 65 and older made up 22 percent of the voting block. Voters under 30 made up just 13 percent. The largest block of voters, those 45-64, made up 43 percent, and 30-44 year olds made up 22 percent. Older voters heavily favored GOP candidates, while younger voters favored Democrats.